"A poetic look at nature, nurture, opportunity and struggle." 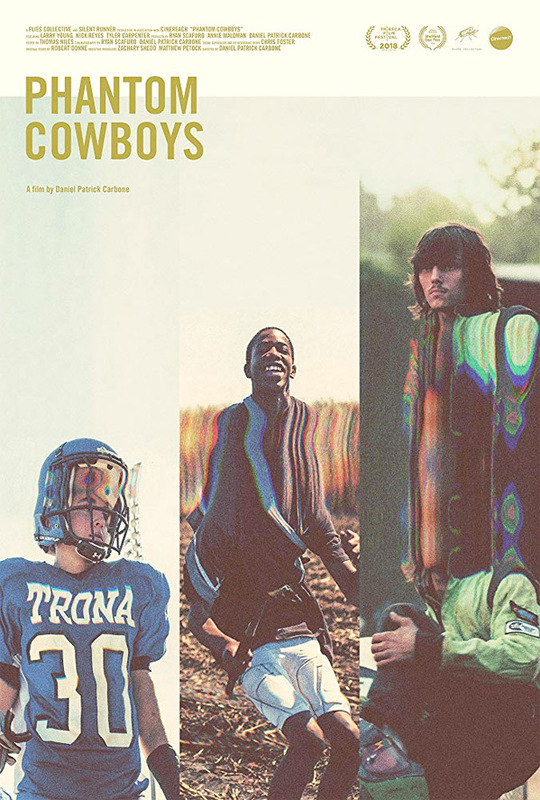 Flies Collective + Film Sales have debuted the official trailer for a documentary titled Phantom Cowboys, which premiered last year at the Tribeca Film Festival and stopped by a few other small fests. From filmmaker Daniel Patrick Carbone, Phantom Cowboys follows three teens from small towns in America - revisiting them eight years later after first meeting them. Giving us a look at their lives as they grow up and approach adulthood, and how it's always a struggle for many. The film "captures the consistent threads of responsibility, parenthood, and manhood that weigh on each of these small-town teenagers, regardless of the community that raised him." Carbone is also credited as cinematographer on the film, making this a very personal project for him. Looks like a very moving doc. A documentary following three teenage boys as they approach adulthood in California, West Virginia, and Florida. The hopes and dreams of young people in small town America as expressed by the three subjects as seen over a period of eight years. Phantom Cowboys is directed by American filmmaker / producer / cinematographer Daniel Patrick Carbone, director of the narrative feature Hide Your Smiling Faces previously, as well as a few short films. This premiered at the Tribeca Film Festival last year, and also played at the RiverRun and American Film Festivals. Flies Collective + Film Sales will release Carbone's Phantom Cowboys direct-to-VOD in the US starting on March 29th later this month. Anyone interested in this doc?